You may have an estate plan in place but have you considered estate planning for digital assets you own? Our estate plans need to keep pace and reflect our ever changing digital world. The digital age has ushered in an online and paperless society. With much of our life dedicated to the internet, we all find ourselves with multiple online accounts. Online accounts are amorphous, they include, but are not limited to, online brokerage accounts, retirement accounts, credit cards, stocks, student-loan or utility statements, social media accounts, blogs, and email addresses. These accounts are our property, they are part of our estate. Consequently, when family members and individuals die, they leave tangible property and, now, digital property. Recently, a common question has been – how does an executor sort through the decedent’s digital accounts and possessions? Often, the executor does not even know that these digital accounts exist, let alone have any clue as to how to access them. Individuals simply keep these accounts and their passwords to themselves and fail to share even minimal information with their executor. This secrecy only adds to the headache and heartache of administering a loved one’s estate. The solution: estate planning for your digital assets. As with all estate planning issues, proper and prudent planning is the solution. There are simple steps that all individuals can take to properly plan for our digital world. Estate Planning for Digital Assets Step 1: You must have an Estate Plan. In order to protect your digital assets, you should have a will, trust, and power of attorney. These estate planning devices enable you to appoint a fiduciary (an executor or trustee or agent). A “Digital Asset” clause or provision will authorize your fiduciary to access and manage your digital assets and accounts. For instance, such a clause will empower a fiduciary to access your online bank accounts to make payments or close an account in the event of incapacity or death. This clause can also be tailored to a client’s wishes. For instance, if a client does not want to allow their fiduciary to have specific authority over certain digital assets, the will or trust agreement can be altered in accordance with the client’s wishes. After properly updating or creating a new estate plan to reflect your digital assets, you need to, at a minimum, to identify what your accounts are and where they can be accessed. Additionally, if you feel comfortable, you should (safely) leave the passwords to the accounts with your fiduciary. Your executor should have one document with a list of your assets and passwords. What you can do? Contact the estate planning attorneys at Puff & Cockerill to help implement a proper and adequate estate plan that covers and protects your digital assets. Your estate plans should reflect our ever-changing world. 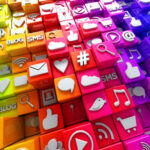 Online accounts are becoming the norm and technology will continue to expand in our lifetimes. When it comes to planning your estate, there is no better time than now. Estate Planning is a term of art: it is an all-inclusive word encompassing a multitude of important issues. Quite often, people do not understand the broad scope of estate planning. Commonly (and wrongly), people believe estate planning is simply creating a Last Will and Testament that will dispose of their property at death. While true, this short-sighted belief misses the remaining aspects of estate planning. Estate planning, at its core, includes planning for both you and your loved ones. Estate planning includes assessing your assets, protecting those assets while you are alive and after your death, and formulating a distribution plan in accordance with your values and beliefs. In doing so, the legal tools available includes creating a Will and Trust, or multiple Trusts, to plan, protect and carry-out your personal goals and objectives. For yourself (and we should never forget to plan for ourselves), estate planning includes planning for later in your life. Follow these Rules for Estate Planning and establish: (a) long-term care planning, (b) health care planning, (c) establishing Powers of Attorneys, (d) a living will, and (e) a medical directive to ensure that your wishes are adhered to and that you are properly cared for in the event you are incapable or incapacitated. While everyone has tangential personal reasons for estate planning, the nucleus of estate planning is this – we plan our estate’s to pass on our hard earned assets to our loved ones to improve their lives and leave a lasting legacy. Based on this foundation, people plan in accordance with their beliefs, such as providing for certain individuals, charities, religious or educational institutions. What estate planning provides is protection, which, provides peace of mind. A plan ensures our wishes are carried out without concern that they will be subverted by the whimsical decisions of others. Estate planning allows us to look into the future and contemplate issues, ahead of time, so in the event they come true, we (and our loved ones) are prepared and ready. The beauty of planning for yourself later in life is two-fold: first, you will have the peace of mind in knowing that your wishes and plans will be put into place; and secondly, your family will have the peace of mind in knowing that your plan was well-thought-out and the decisions are in your best wishes. Speak to an Estate Planning Attorney to begin the process of estate planning. We all deserve the peace of mind of knowing that our goals, objectives and wishes will be adhered. 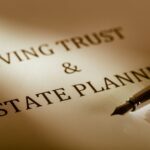 The estate planning attorneys at Puff & Cockerill can provide guidance and direction for all aspects of your estate planning. Estate planning is not a one-time – one-size-fits all endeavor. As our lives change, our estate plan should correspondingly reflect the changes in our life. Accordingly, if you already have an estate plan, we urge you to stay proactive by checking your estate planning documents. If your documents (such as a Will or Trust) need amending or updating, please feel free to contact the estate planning attorneys at Puff & Cockerill.